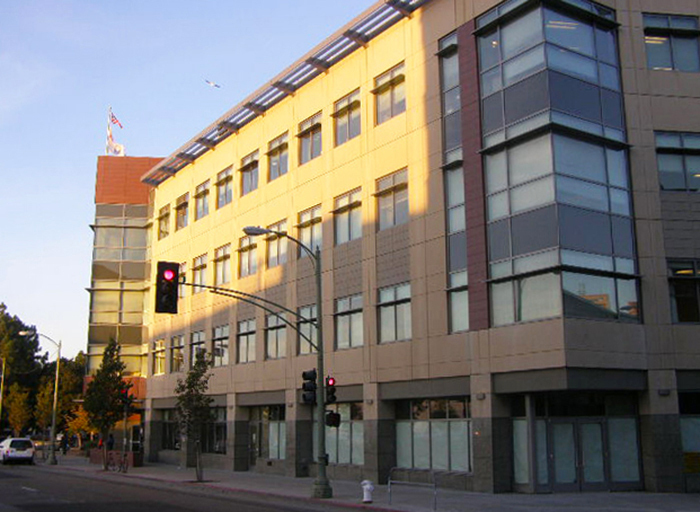 Thomas Berkeley Square located in the uptown development district of Oakland, California is a mixed-use four-story office building with retail at the ground level. Major tenants include the Alameda County Social Services Agency and the North County Self Sufficiency Center. Interactive Resources performed a Property Condition and Engineering Assessment consisting of a comprehensive evaluation of the existing conditions of the building and systems including structural, plumbing, heating and ventilating, air conditioning, electrical, fire protection, finish materials, exterior facades, roof, general ADA compliance, site amenities, and vertical transportation. We prepared a report which contained a summary description of recommended improvements, a listing of the information reviewed, and a summary of our findings and conclusions. Photographs were included with the report to highlight conditions and findings.